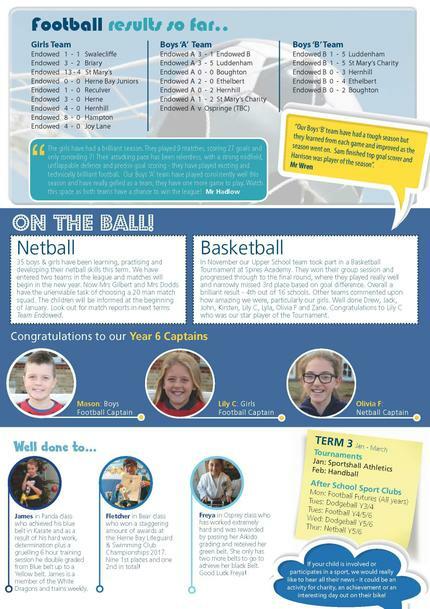 The Endowed School have had great success in Football, Netball and lots of other sporting tournaments over the past 5 years competiting with local schools in the Canterbury district. 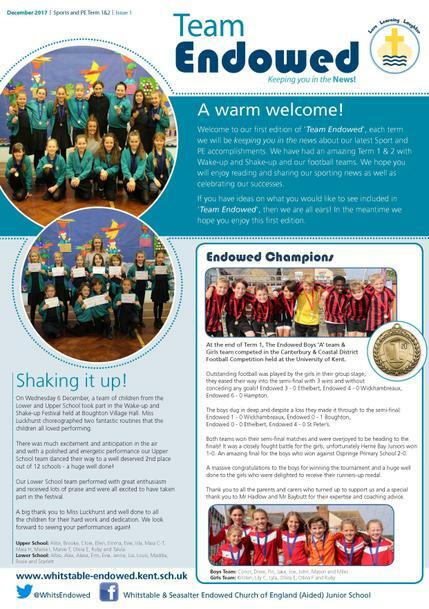 To celebrate and share our sporting news, we have decided to launch a termly 'Sport & PE' update called Team Endowed. As you can see we are involved in the majority of events that take place in our area and do very well too! Please take a look at our first edition and let us know if your child is involved or participates in a sport - it could be an activity for charity, an achievement or an interesting day out on their bike.